The 102nd Annual Northeast Grange Lecturers’ Conference will open on Monday, July 31st at 3:30 p.m. at Castleton University in Castleton, Vermont. Castleton is about 20 minutes west of Rutland. Most of us will be able to make it in less than four hours. Registration will be held from 1:00 to 3:00 p.m. Connecticut’s attendance has been slipping the last few years and I hope people can make it up to Vermont. It is a nice picturesque ride. I recommend stopping at the Vermont Country Store while in Vermont for a chance to reminisce about the days gone by. The theme of the conference is “School Days”. Connecticut’s program is on Phys Ed. We will present it on Tuesday. Other programs include Geography, Arithmetic, Drivers Ed, Home Schooling, Technology and Vocational Ed. Come and learn and enjoy time with friends. 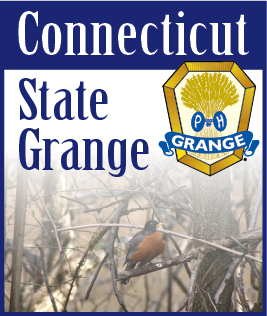 Spirit Night will be held Tuesday night with shakers, noise makers and lots of Good Grange Spirit. Workshops will include Getting To Know You, Technology, Crafts, Wellness, Agricultural Ed, Meditation, and Sign Language. Maps and complete information will be sent to all who register. Everyone should have received their information by now. If you want to come but didn’t get it, please let me know and I will get it right out to you. Hope to see you around the State and in Vermont.